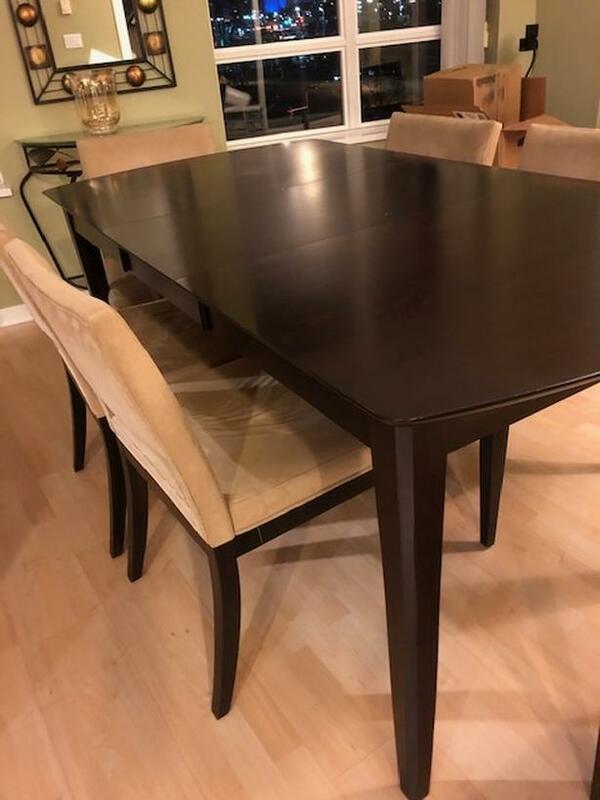 Solid wood dining table: L 72"(including 18" leaf) W 38". Dark chocolate finish with tan ultra suede chairs. Excellent condition. Heat mark and five quarter inch scratches in table top. Priced to move. $400.00 obo. I will respond to inquiries each evening.